A couple of weeks ago, we took a look at the Toyota Century, a car possessing what’s often dubbed as Japan’s only production car V12. It might be hard to believe, but that is indeed the case. However, this solitary V12 motor was almost joined by a bizarre looking creature from Yamaha. 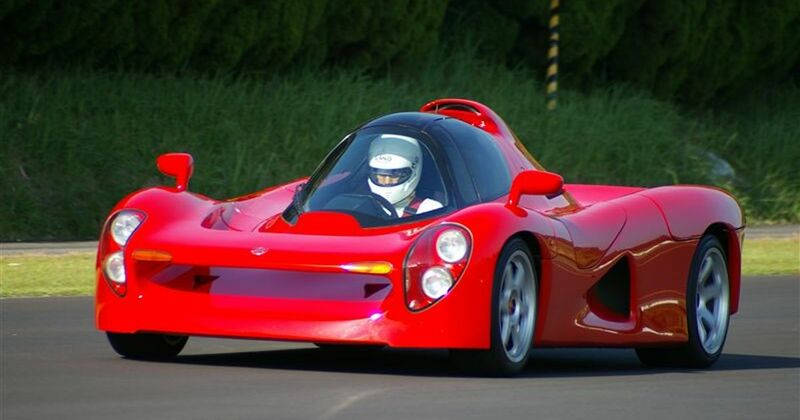 It’s called the Yamaha OX-99-11, and its birth came around thanks to the Japanese company’s involvement in Formula 1, which kicked off in 1989. 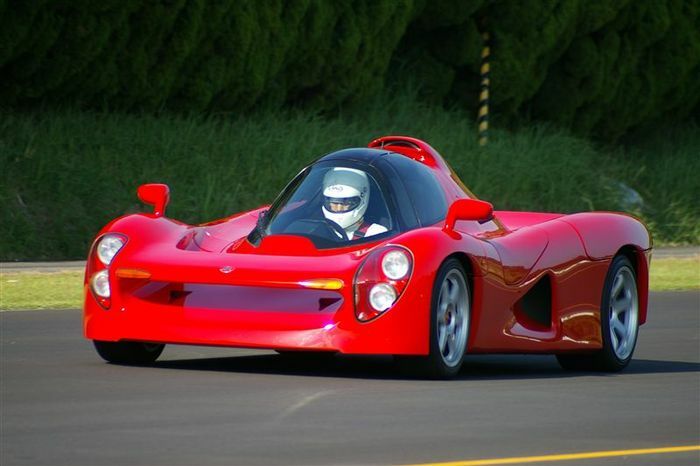 With a new 3.5-litre V12 - dubbed OX-99 - developed for racing in 1991, Yamaha decided to build a bonkers sports car around it. To create the car, Yamaha’s UK-based subsidiary - Ypsilon, which had been set up to support the F1 effort - needed a technical partner, which in the end was British motorsport company IAD. What they came up with was astonishing. Naturally, the car’s rather dramatic aluminium bodywork is what’ll catch your eye first, but delve a little deeper, and you’ll find that it’s highly unconventional under the skin too. 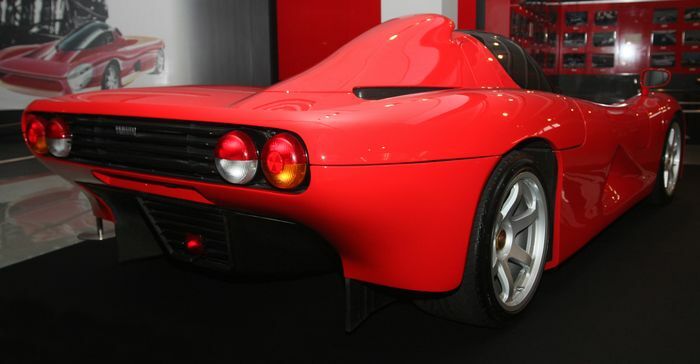 Its carbonfibre tub features a central seating position under a fighter jet-style glass canopy (which opens in a gullwing fashion), but as Yamaha didn’t want a single-seater car, there’s a second ‘tandem’ seat behind it. 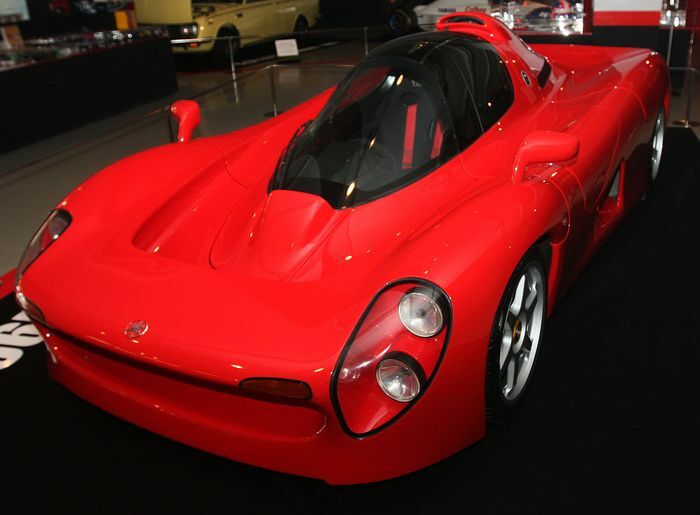 The F1 engine was detuned for road use, but still kicked out 400bhp at a screaming 10,000rpm. With a paltry 1150kg of car to shift, this rear-wheel drive supercar would dispatch 0-60mph in just 3.2 seconds, and top out at 217mph. All seems jolly promising, so what went wrong? It was budget disputes which initially put the project in jeopardy, leading Yamaha to hand the project back to Ypsilon. The unfortunate financial climate in the early 1990s struck next: Yamaha decided that a car with a projected price of around $800,000 (no, that’s not adjusted for inflation) simply wouldn’t sell. The plug was pulled, and that was that, with only three prototypes built in the end. A shame, we think.